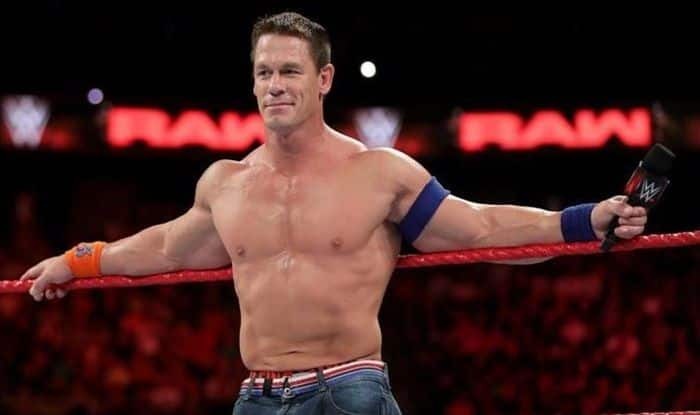 The coming week of World Wrestling Entertainment's (WWE) weekly show RAW is set to be a blockbuster as it will be marked by the return of three of the biggest names inn the industry - Brock Lesnar, Braun Strowman and John Cena. The coming week of World Wrestling Entertainment’s (WWE) weekly show RAW is set to be a blockbuster as it will be marked by the return of three of the biggest names in the industry – Brock Lesnar, Braun Strowman and John Cena. Earlier, Cena was also featured in the ‘live’ event but this is his first regular show comeback to RAW. Universal titleholder Brock Lesnar is also set for a return to Monday Night RAW right ahead of pay-per-view event Royal Rumble. Lesnar has been often criticised for not being present on the RAW shows despite being the Universal champion. As the Royal Rumble event approaches, Lesnar will finally make a return on January 21st in Oklahoma City. Brock Lesnar will be defending the title against Braun Storwman in the Royal Rumble in a one-on-one match- the encounter will mark the second meeting in three months between the two heavyweights for the title – previously, the two faced each other at the special event in Saudi Arabia, the Crown Jewels. It will be a good opportunity for Lesnar to address both the fans and his opposition at Rumble, Braun Strowman. While for Cena, he will have to display that he still posseses the charisma that made him one of the greatest-ever in the company. However, Cena will not be a part of the special pay-per-view event, WWE Royal Rumble on the 27th of January. As the road to Wrestlemania gets intense, all the superstars will push for a match at the grandest stage of them all and the multi-time champion will definitely be one of them.